One way sports organisations earn income is through the sale of merchandise and refreshments. It is also part of the match-day experience. Nothing is more frustrating than long lines when buying a drink or some food and missing part of the action. With the rapid and continuous development of technology, sports organisations can handle these kinds of issues far better than say ten years ago. As technology allows for it, they have introduced new payment tools to improve the match-day experience. So what kind of payment tools can fans use and what are the advantages? Sports organisations can transform regular season tickets (often a card like a credit card) into a payment card. FC Utrecht – a club in the Dutch football league – introduced this in 2016. Not only does such a card contain the season ticket information, but the fan can also transfer money to the card and pay with it for merchandise and food and beverages on match-days. The advantage for clubs is that sales information can be linked to a season ticket holder and their personal information. A wealth of data should become available. But a platform is needed for fans to transfer money, requiring an investment by the organisation. Fans on the other hand only have to bring one card to the stadium. Yet, they have to transfer money to the season ticket card in advance to be able to pay with it. Southampton FC introduced the bPay band in 2014. Together with Barclaycard they launched the payment tool to make it easier for fans to make payments on match-days. Simply by linking the band to a Visa or MasterCard debit or credit card, fans could make payments up to £20. They could also use the band at the club’s megastore and several other retailers like Starbucks and McDonald’s. It is a concept that is also integrated at Walt Disney Parks, where visitors can enter different attractions by holding a wristband in front of a scanner. With this technology the process is likely more efficient, hopefully resulting in a more enjoyable experience. Southampton’s fans can thus use the bPay bands to make payments. This speeds up the buying process across the stadium. Normally leading to more sales and less frustration among fans. The £20 spending limit prevents people from spending a lot, but it also makes sure that risks (especially the loss of money when the band is stolen or lost) are limited. In the summer of 2017, Schalke 04 revealed they have partnered with sleeve sponsor AllyouneedFresh (an online supermarket) to provide fans with a new payment tool. A chip in the jerseys makes sure fans can buy food and beverages at the Veltins-Arena. It is an innovative way to activate a partnership and at the same time provide value to fans. The in-stadium buying process should be faster, although scanning the jersey’s sleeve may not be as easy as scanning a wristband like Southampton’s bPay. Chips seem to be one of the latest technologies taking the sports market by storm. Recently Nike also introduced jerseys with a chip in them to give fans an even better connected experience. As sports fans can transfer money from the club app to payment tools like a chip, it is only a small step to let payments be entirely in-app. 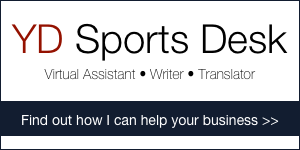 Many sports organisations have an own application. Some organisations even have multiple apps with one app solely focussing on the match-day experience. It is a logical step to integrate payments into the app and we will likely see this more in the future. The Jacksonville Jaguars recently launched a new app and plan to offer just that – in-app purchases and payments – to their fans. As sports organisations often partner with technology and finance companies, it is no surprise to see many innovations, like new payment tools, applied to the sports market. Sports organisations can improve the fan experience by providing fans with these tools. In return they get loads of data and get better insights into the buying behaviour of their fans. Making it possible to make better-tailored offers based on previous sales and loyalty and possibly leading to more sales. As technology rapidly develops there is no knowing how much technology like new payment tools will change, hopefully for the better, the fan experience.